"I'd hoped we could skip the violence. But if you insist." Tales of mystery really tend to gravitate toward certain settings and themes. 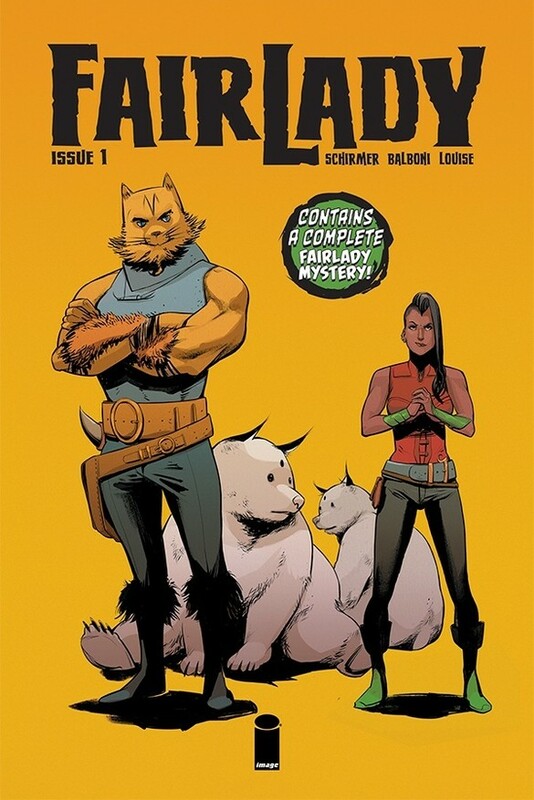 Fairlady #1 from Image Comics seeks to upend what's expected in that regard. The issue is written by Brian Schirmer, illustrated by Claudia Balboni, colored by Marissa Louise and lettered by David Bowman. The narrative approach in Schirmer is rather interesting in that attempts to blend a noir detective story with a high fantasy setting. Schirmer makes it work for the most part, as the reader follows the case alongside Jenner Feulds as she attempts to find a missing bookkeeper and running into the expected problems along the way. Schirmer's dialogue is pretty strong throughout the issue and helps to flesh out the personalities of all the players involved. And the issue is paced very methodically as Schirmer clearly has certain notes he's aiming to hit at certain points in the story, pretty much doing so right on cue. The ending of the issue offers some resolution to the story as a whole, but doesn't really offer up a clear direction as to where the story goes from here though. Balboni does a fantastic job with the artwork, offering a very in-depth look at The Feld and making it feel sufficiently imaginative. What's really unique about Balboni's approach is how the perspective in every panel seems to frame the characters in the center. It's extremely effective at drawing the reader's attention to the subtle linework used to define the characters and give them an appropriate, high-fantasy feel. This effect is further embellished by the blackened borders around the panels floating amidst empty gutters. Louise's colors are toned down and add something akin to an aged filter to the work. Fairlady #1 is an interesting take on a couple of premises. Jenner Faulds is definitely very good at what she does, yet she faces many challenges just because of who she is that makes things a little tougher to overcome. Schirmer's script is well-plotted, albeit a little slow at points. Balboni's artwork is a great look for the atmosphere the story is attempting to establish. 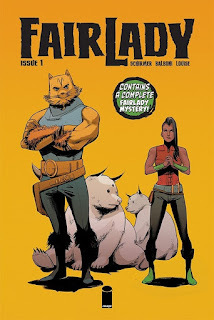 Fairlady #1 is a good mix of detective story and high fantasy that comes together very evenly. Fairlady #1 is available now.